After warm farewells, this Saturday morning, we left Belgrade and “comfort” of the Bible School to travel into the centre of Belgrade. Rather than visiting the “standard” tourist sights, we met Dragan – a Rom from the central city of Arandjelovac. As we drove together, he told us how in 1999, aware of a personal need for forgiveness and aware of his own vulunerability magnified by the bombing, he found refuge in a friend’s house. These friends walk with Jesus and through what they shared, Dragan and his wife committed their lives into the hands of Lord Jesus Christ. 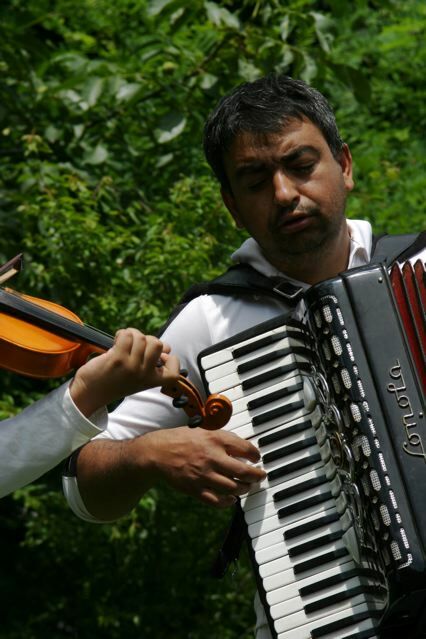 Since then, Dragan and Danijela have been joyfully sharing about what God has done in their lives with others from Romany communities across Serbia. Romany people are viewed as outcasts in this society. They often live in makeshift homes made out of nothing more than reclaimed junk. A living made by recycling rubbish they pull out of containers, ignored and often despised by the rest of the population – this is not an easy existence. The Romany people have their own language and trace their ancestory back to North India – both their colouring and their language carry hints of the Indian culture. This morning, Dragan brought us to a makeshift settlement where he and Danijela have been working for a number of years. The welcome we received was immense with drinks, smiles and laughter. Those in the settlement were very keen to sing to us new songs that they have written about their new found faith in Jesus Christ – “the One whom their hearts longed” as one song explained. I think for some of us, this has been one of the most moving visits so far. 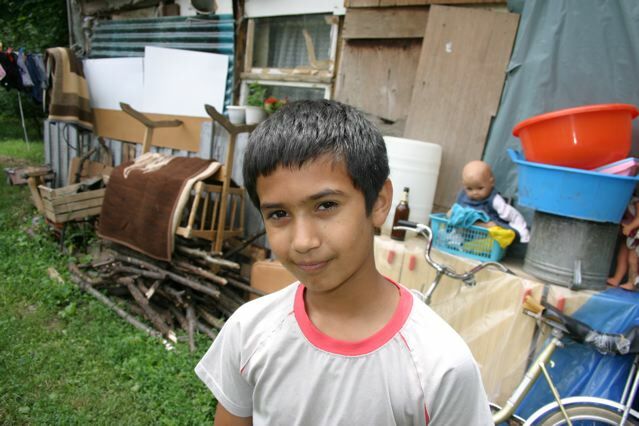 It has put on many of our hearts a keenness to find ways we can help the Romany community in Serbia and across this region, it has deepened our respect for this people group. It has also given us an insight into the amazing work that Dragan and Danijela are doing. Most of all it has shown us the dignity, vibrancy and life that comes to a person, a family, a community as they trust their lives into the hands of Jesus Christ. Wonderful things continued to happen the day that we visited… One of the men who is a “patriarch” of this community that day realised his own need for a saviour and trusted his life into the hands of Jesus Christ – the One who has died personally for him… This will have a great impact on this community. 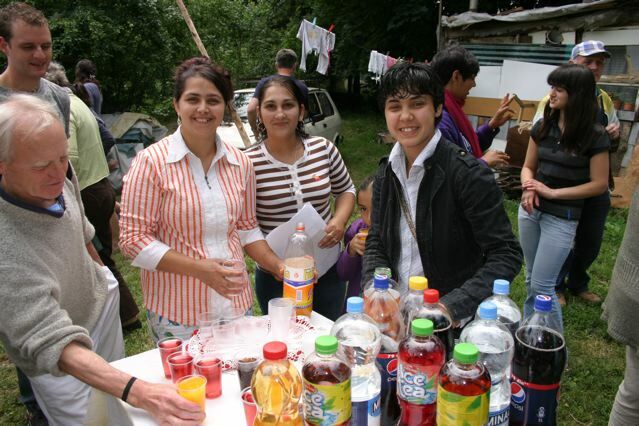 Dragan, Danijela and Nesa delightedly shared this news with us by text as we drove south… We praise God with them. I had to hide behind a tree branch to cover my embarassment at losing it emitionaly when these guys started to sing to us…I just said to the Lord…this is the real thing…they don’y have anything else. Previous PostPrevious A “Chance” Meeting on the Motorway – a Family Takes a Massive Step of Faith.